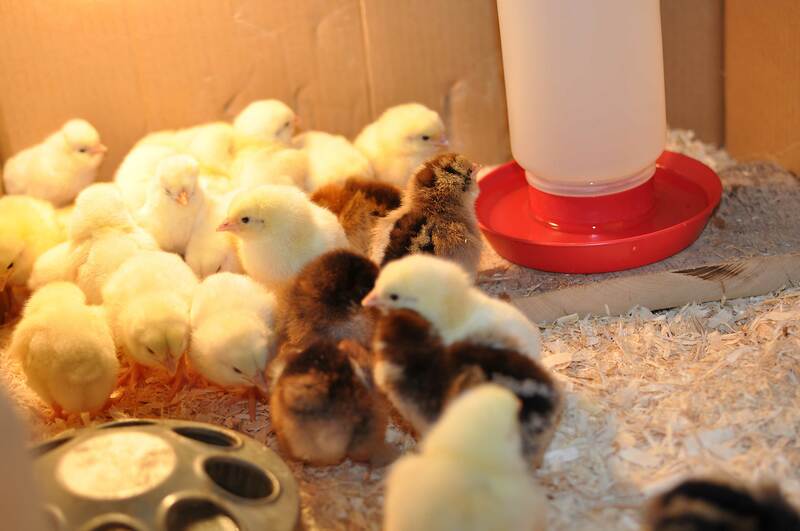 In the dark days of this past winter in Minnesota, we once again found ourselves paging through the McMurry Hatchery catalog and trying to decide if we should order some chicks again this spring. We now have 7 laying hens who are keeping us well supplied with eggs (see their winter free-ranging escapades here). 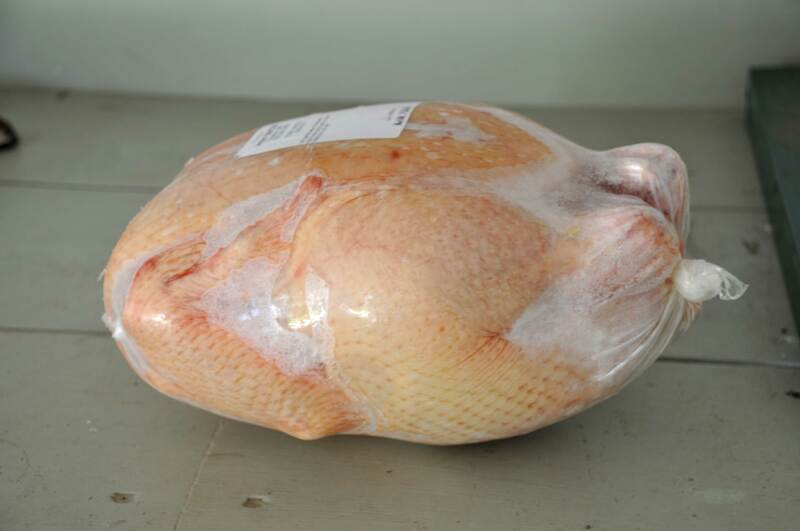 In our freezer, we have about a half-dozen chickens remaining from our last batch of meat birds. Although we probably did not need any more chickens, we could not resist and placed an order anyhow. On April 21st, the phone rang early in the morning. It was the post office letting us know that our chicks had arrived and were available to be picked up. 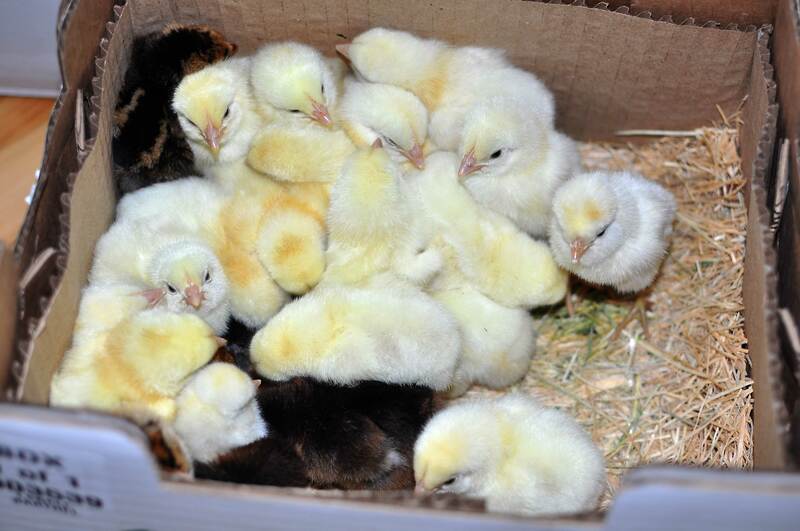 Yes, these cute little baby chicks got shipped from the hatchery to our post office in this box. I was most excited about ordering the White Polish hens because they have never been available when I have ordered before. When fully grown, these birds have a big plume of feathers on their head and I find them very comical. Even as a baby chick you can see the beginnings of the hairdo on this little girl. We picked them up at the post office and quickly got them settled into their new home – a box that we will keep in the house for about a week so that we can keep a close eye on them to make sure they are all eating and drinking. 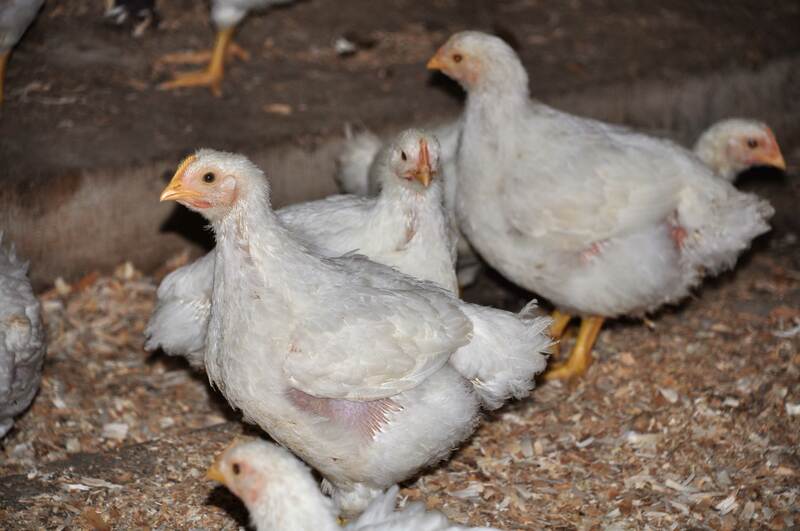 Initially, we keep all the chicks together because they are about the same size and the numbers help them stay warm. Another reason we keep them in the house at first is to protect them from their primary predator – our cats. 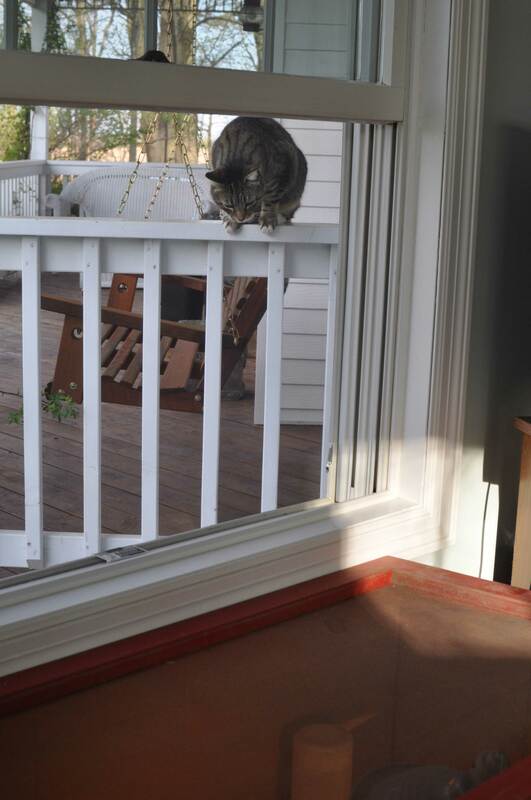 When I opened the windows for some fresh air on a nice day, Tiger heard their little peeps and could hardly resist trying to jump through the screen. He spent a good part of the day gazing longingly into the sun room at the chicks in that box. Just in case he slips into the house unnoticed, we keep a screen on top of the box as a second line of protection. I am happy to report that unlike every previous year we have had chicks, to date the cats have been unsuccessful in scoring a tasty chick snack. After about a week in the house, we moved the chicks out to the chicken coop and separated them into two different boxes: the meat birds in one and the new laying hens in another. The meat birds grow at an alarmingly fast rate and quickly outsize the layer chicks. In fact, they grow so fast that we only kept them in their separate box for about another week before moving them into the barn where they have a lot more space. 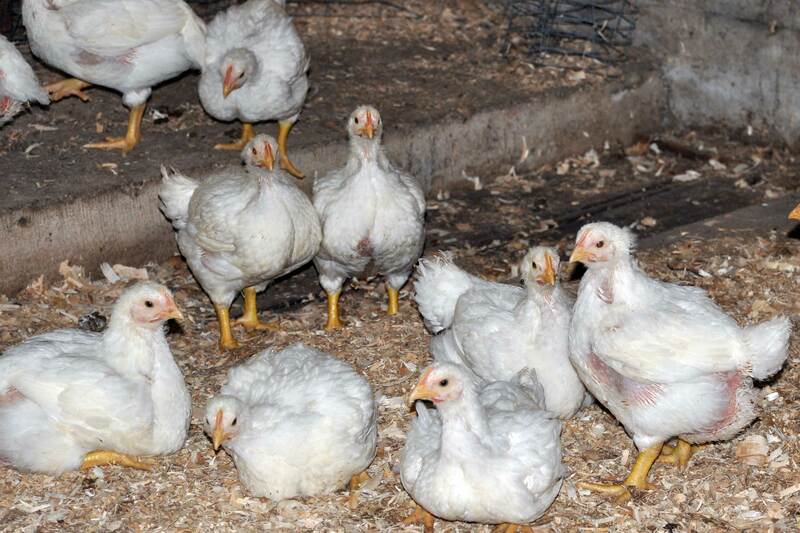 The meat birds basically spend their days eating, drinking and messing up their pen. 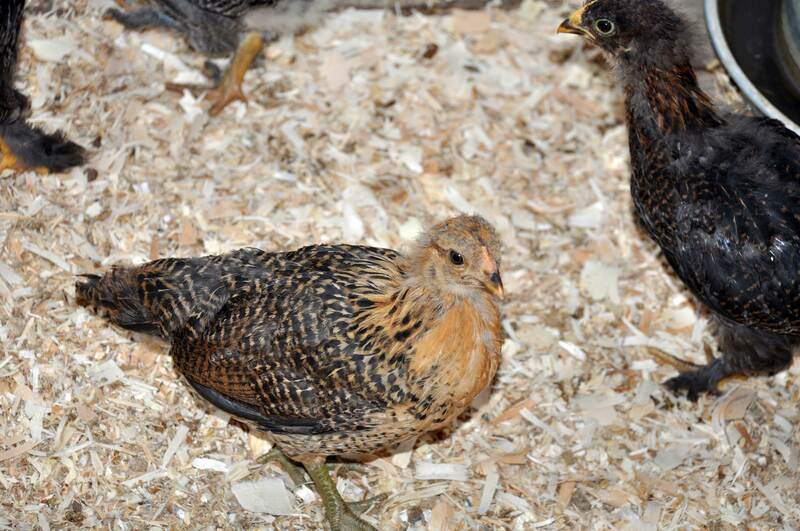 These commercially developed hybrid birds are bred to only be interested in eating so they grow fast and tender. 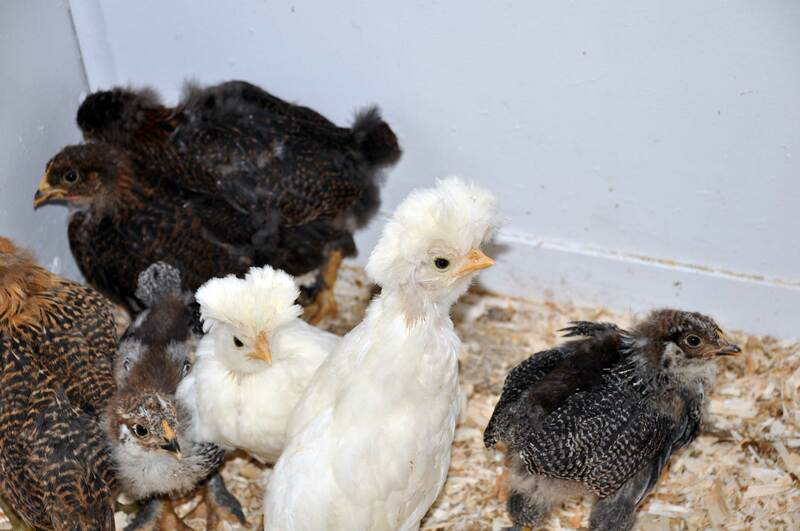 They have already grown very big and are starting to fill in their feathers. The cruel reality however, is that in another 3-4 weeks, we will load them all up and take them to a farm about an hour away for processing. We will go pick them up about a week later…and they will provide many wonderful meals for our family. 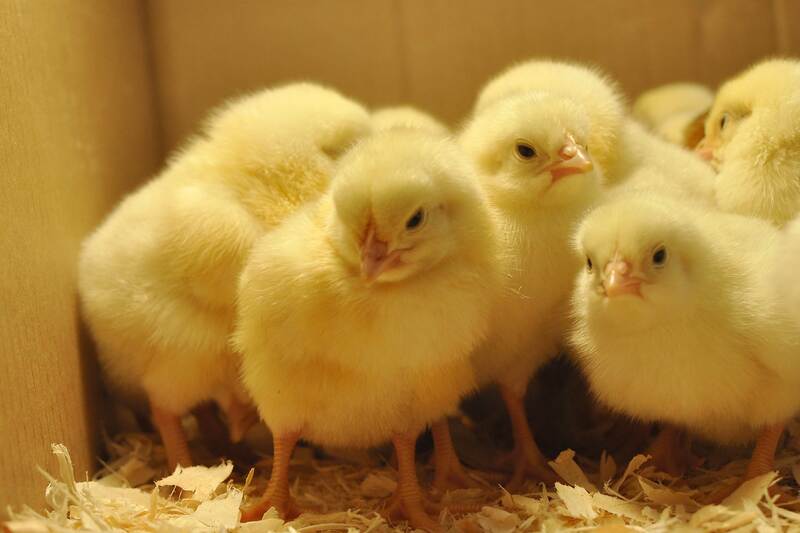 Our new layer chicks on the other hand…well, they are still pretty darn cute. They are growing steadily and all seem healthy. Their feathers are starting to fill in and most of their chick fuzz is gone. 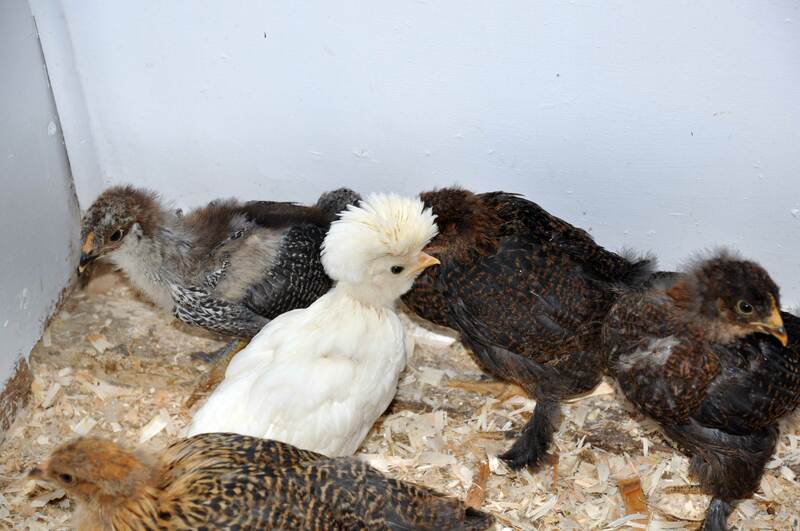 The White Polish hens are starting to sprout their crown of feathers now and they already make me laugh. We have only lost one of the layer chicks. I found her dead by the feeder one morning when I came out to the coop. We know it was not the cats, but have no idea what caused her death. Thankfully, everyone else seems to be doing great and in a month or so, their larger size should minimize the threat of any cat attacks. Once they are bigger, we will slowly start to introduce them to the rest of the flock. These gals should be laying eggs beginning some time in September or October. We will have to start selling our overflow of eggs! 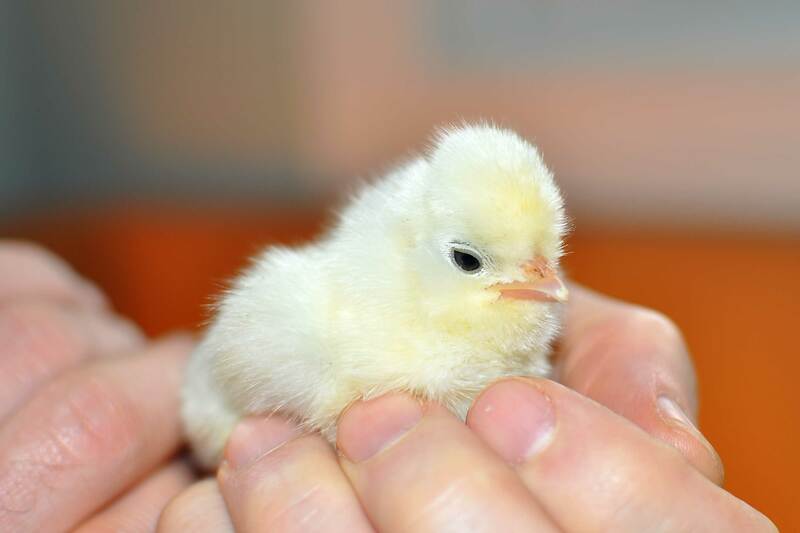 Maybe next year I will resist the urge to order more chicks…or then again, maybe not.